Before the Volstead act, rye was the drinking man's choice of whiskey and the first whiskey distilled in America. It was what the Colonists turned to when their rum supplies were cut off during the American Revolution, even good old George Washington himself distilled rye whiskey. Over a hundred years later, during prohibition, bootleg rye whiskeys became middle America's answer to bathtub gin and a little town in Iowa was brewing up some of the best. Just ask one of the the original good fellas, Al Capone. 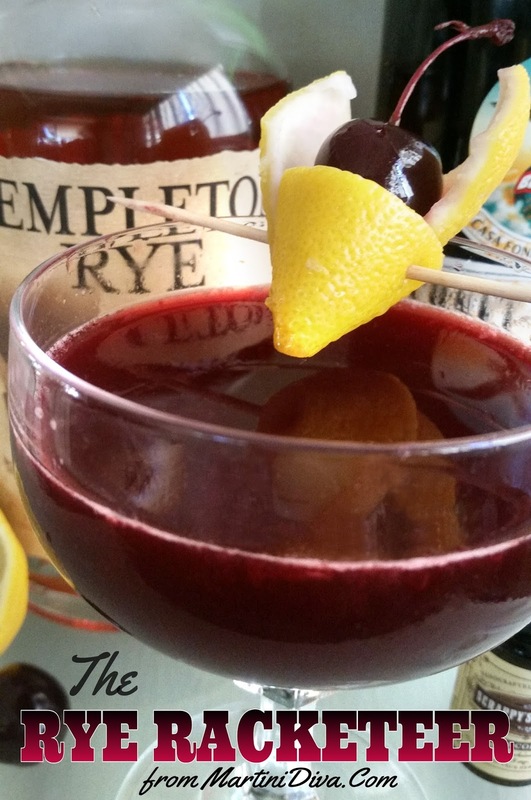 Templeton Rye was originally a bootleg* moonshine produced in Templeton, Iowa. 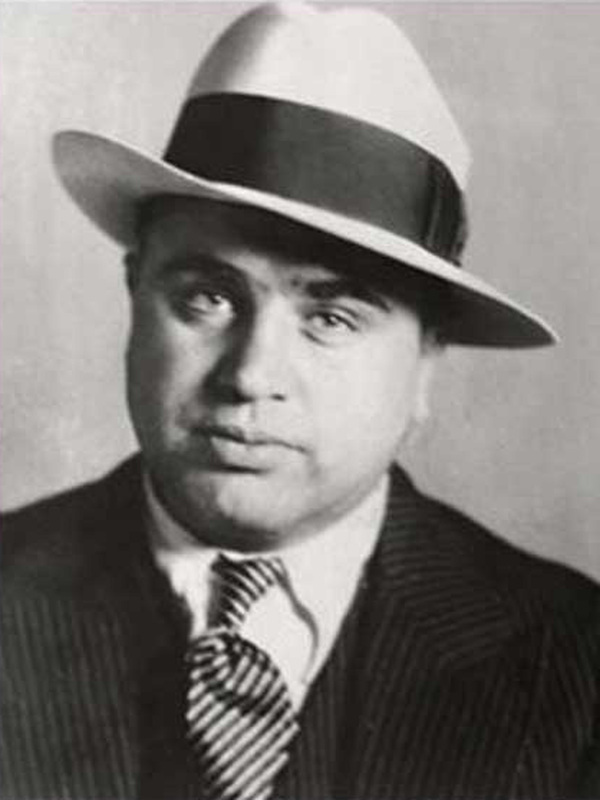 Called "The Good Stuff" it was said to be the favorite tipple of the above mentioned gangster, Al Capone. 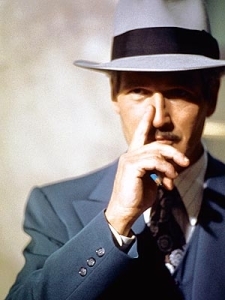 When Capone got nabbed, sent up the river for tax evasion, rye fell out of favor, nearly disappearing from the cocktail scene and by the sixties it became mistakenly viewed by many as an old, poor man's drink. Thankfully today's mixography scene is more knowledgeable and open minded and rye is slowly reemerging a very viable alternative to bourbon and scotch. Spicier and fruitier than its bourbon descendant, rye whiskey gave birth to many classic cocktails, including the Sazarac, the Manhattan and the godfather of all mixed drinks, the Old Fashioned. Yes, these were all originally made with rye. Another great vintage rye cocktail was the Scofflaw, a drink I enjoy - probably because I really like the name. 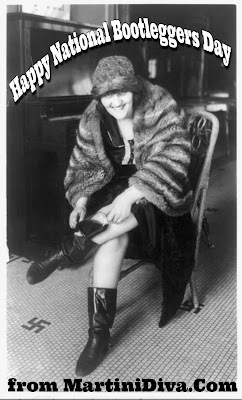 According to Gary "Gaz" Regan (@gazregan), on January 15, 1924 prohibitionist Delcevare King had a contest to describe the lawless drinker and the term "scofflaw" was the winner. It was a pretty apt term for those who illegally drank hooch during Prohibition, thus "scoffing" the law from 1929 to 1933. Naturally, somebody had to make a drink with this name and someone did - not in poor old dry America but at Harry's Bar in Paris! 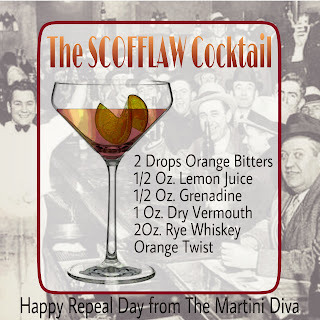 I decided an adaptation on the rye based Scofflaw was a perfect way to celebrate National Bootleggers Day, which also happens to be the birthday of Al Capone and the birthday of the son (Meryl) of the original creator of this famous rye whiskey, Alphonse Kerkhoff. Fortunately, today's new Templeton Rye Distillery kindly gifted me a bottle of their "good stuff" to help in all the celebrations. Templeton bases its rye on the original Kerkhoff moonshine recipe from Iowa. Kind of a fun back story if you're in need of a conversation starter but I'm an old "Mad Woman" so none of that affects my taste buds. Flavor is what influences me and Templeton brought it in spades. Admittedly, I'm no expert on whiskeys, but sipping it I could taste the spices at the forefront. I thought I detected allspice but then the fruit notes hit my palate, bringing a surprising sweetness that scooted the spices to the back a bit. Finally the woodiness from the oak finished up with the rye and a bite of - black pepper? 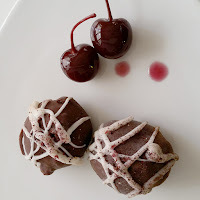 My mind went right to pairing it with dark chocolate and cherries so I immediately went and grabbed one of the homemade dark chocolate and cherry truffles I'd made and finished off both the glass of rye and the truffle (okay, TWO truffles) before happily falling asleep. 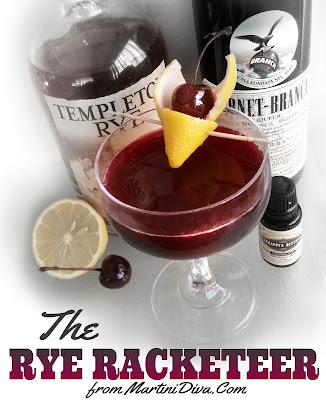 The gift of the Templeton for Bootleggers Day is what steered me to the Scofflaw whose original recipe is comprised of rye, dry vermouth, some lemon juice and Grenadine with a few dashes of orange bitters. Now, you know me, I'm always messing with the classics and I've gone and done it again here. Because I'm a bit of a scofflaw myself, I switched out the dry vermouth with a favorite Amaro, Fernet Branca, changed the orange bitters to chocolate and replaced the sticky, sweet Grenadine with some tart, dark cherries.That chocolate cherry truffle with the rye combo really got me going, boy. At least 8 hours ahead toss a few cherries in the rye to get them nice and hammered. When you're ready to mix the cocktail, muddle the cherries with the lemon and cherry juices in the bottom of the cocktail shaker. Fill the shaker with ice, pour in the Templeton Rye and the Fernet Branca then shake until icy cold. Strain into the chilled coupe, tap in the chocolate bitters, garnish with a few rye soaked cherries, the lemon twist, touch your finger to the side of your nose and serve. * WHERE DID THE TERM BOOTLEG & BOOTLEGGER COME FROM? In the 1700s the “leg of a tall boot,” was called a boot-leg. This handy area was often used as a way to hide contraband. During prohibition small flasks and bottles were often hidden in much the same manner and the term became applied to those in the illegal alcohol trade. 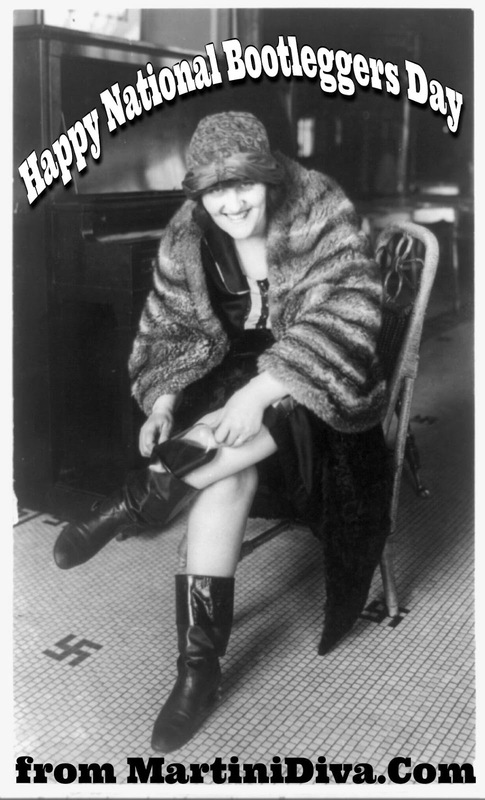 Happy Bootleggers Day and thanks to Templeton for the inspiration!